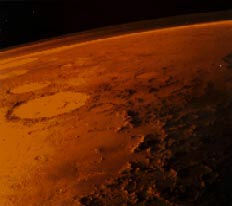 Shown above is an image of the Martian surface which the editors of the APOD website describe as the formation of ancient layered hills and wind-blown sand on Mars. This was the year that water on our Moon and on Mars was discovered; the year we extended the life of the Hubble Space Telescope and delivered equipment and personnel to the International Space Station. We viewed the most spectcular images of Saturn and its volcanic ice moon ever taken. Amateurs snapped photos of a green comet as it came streaking by and we revelled in a year-long commemoration of Galileo's accomplishments in an official celebration of 2009 as the International Year of Astronomy. From the shuttle Atlantis to the prospect of private space flight courtesy Virgin Galactic, it seems as though the year 2009 won't quite end, spilling over into a new and hopeful beginning: the year 2010. Right from the word "go", January 2009 became the starting point for the International Year of Astronomy. Its purpose, from inception to end, was set out at the website designed to promote and assist with the events that were to take place over the next twelve months. 'The International Year of Astronomy 2009 (IYA2009) is a global celebration of astronomy and its contributions to society and culture and marks the 400th anniversary of the first use of an astronomical telescope by Galileo Galilei. The aim of the Year is to stimulate worldwide interest, especially among young people, in astronomy and science under the central theme "The Universe, Yours to Discover." ' Its goals were a remarkable achievement in world wide education and cooperation, from Around the World in 80 Telescopes to Universe Awareness for Young Children, the celebration commemorating Galileo's use of the telescope was a worldwide success. Myself, having participated in a few of those events, heard it said on many occasions that many of the IYA events should be hosted on a more regular basis (Around the World in 80 Telescopes immediately jumps to mind) rather then just for the year 2009 celebrations. At left, Galileo's telescope courtesy the ESA. At right is one of the official logos of the International Year of Astronomy (link is to the US node) as seen on numerous websites the world over. Anyone would be hard put to choose a single image that is the "best" of the month, let alone the year. But for me, the January, 2009 Astronomy Picture of the Day offering had one of the most unique images of Saturn taken to date. Said the editors of the site, Robert Nemiroff and Jerry Bonnell, "In the shadow of Saturn, unexpected wonders appear. 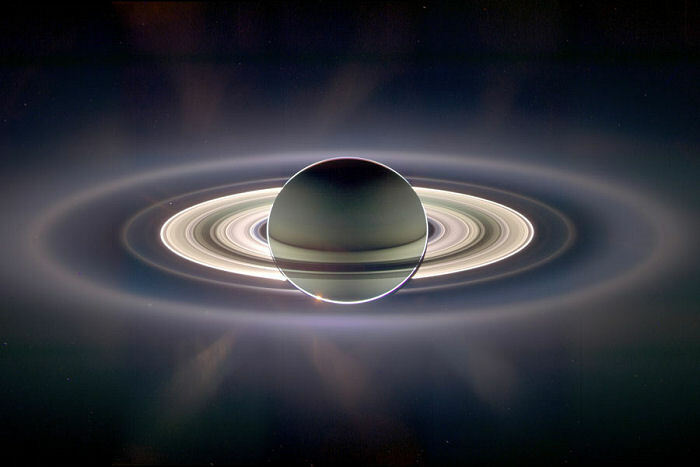 The robotic Cassini spacecraft now orbiting Saturn recently drifted in giant planet's shadow for about 12 hours and looked back toward the eclipsed Sun. Cassini saw a view unlike any other." I have to agree. January 01, 2009  At the top of the new year, understanding the extreme science of extra-solar planet composition for the purposes of creating computer simulations became a very, very hot topic at the University of California, Santa Cruz this month. "Astronomers have observed the intense heating of a distant planet as it swung close to its parent star, providing important clues to the atmospheric properties of the planet. The observations enabled astronomers at the University of California, Santa Cruz, to generate realistic images of the planet by feeding the data into computer simulations of the planet's atmosphere." See: Astronomers get a sizzling weather report from a distant planet. Also see: A Dangerous Summer on HD 80606b from the Astronomy Picture of the Day website. January 05, 2009  The first images of a green comet, designated as C/2007 N3, begin to appear. The comet, discovered by Quanzhi Ye (Sun Yat-sen University, Guangzhou, China) in July of 2007, was not the typical garden variety either. It was composed of both a tail pointing away from the sun, as well as an "anti-tail" pointing directly toward the sun. This is a fairly rare occurance and only happens when the Earth passes through the orbital plane. In addition to its two tails, the comet is seen in a bluish-green color. According to a NASA science news release, this is the results of "cyanogen (CN: a poisonous gas found in many comets) and diatomic carbon (C2). Both substances glow green when illuminated by sunlight in the near-vacuum of space." For additional images of comet Lulin see Gary W. Kronk's Cometography website. Image of comet Lulin courtesy NASA/JPL. January 28, 2009  Astronomers from Portugal, Spain, Africa, Australia, and Asia witnessed a partial solar eclipse of the Sun as our Moon travelled between it and Earth in what is known as a Annular Solar Eclipse. For images of this event from the areas of the world where it was seen, visit the Solar Eclipse Gallery: Jan. 26, 2009 hosted by the SpaceWeather.com website. This website, A Universe in Time, had, by February of 2009, been in earnest revision since November of 2008, something that had been needed since its inception in 1997. Today, it hosts links to over 400 science, astronomy, educational and history sites, over 1500 images in 305 web pages, 22 artistic renderings posted herein and throughout the internet, a continuing history of Tycho, Kepler, Galileo and the Church, a wealth of scientific exploration and research from scientists, amateurs, artists and writers the world over, an image gallery for Galaxies, Nebulae and Stars, a "Featured Site of the Month" and an "Astronomy Publication". The whole site has taken on a life of its own. I've met and made numerous friends from all walks of life the world over and I haven't found where to stop yet; I love this stuff called astronomy! The Chronicle-Tribune advertised a free show at the Marion Public Library, Grant County, Indiana entitled "Visions of the Universe: Four Centuries of Discovery"
"The Hindu reports that The State unit of Jana Vignana Vedika and Birla Science Centre is gearing up for two-day long activities to mark the quarter-centenary celebrations of invention of telescope by Galileo Galilei. The actual article is very short, and most of it has just been reproduced here." Amateur astronomer Mark Thompson's Galileo website and work protraying the great man was featured this month. World Radio Switzerland reporter Vincent Landon posts Starry-eyed Swiss mark Year of Astronomy, a re-broadcast of interviews and topics for the International Year of Astronomy. You can still listen that broadcast by clicking here. 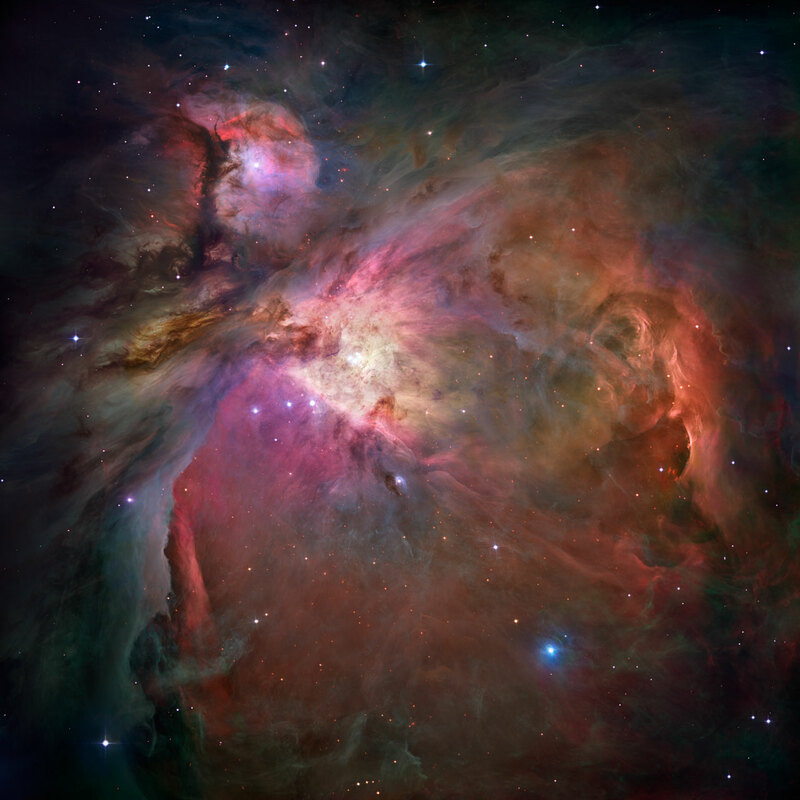 In a class lecture on the properties of nebulae (I had previously returned to college for additional astronomy studies), the course work turned to M42, also known as the the Orion Nebula, as an example. A stellar favorite amongst professional and amateurs alike, we were directed to the above APOD image of this huge molecular cloud. Note the editors of the Astronomy Picutre of the Day website, Robert Nemiroff and Jerry Bonnell, "The Orion Nebula offers one of the best opportunities to study how stars are born partly because it is the nearest large star-forming region, but also because the nebula's energetic stars have blown away obscuring gas and dust clouds that would otherwise block our view - providing an intimate look at a range of ongoing stages of starbirth and evolution. 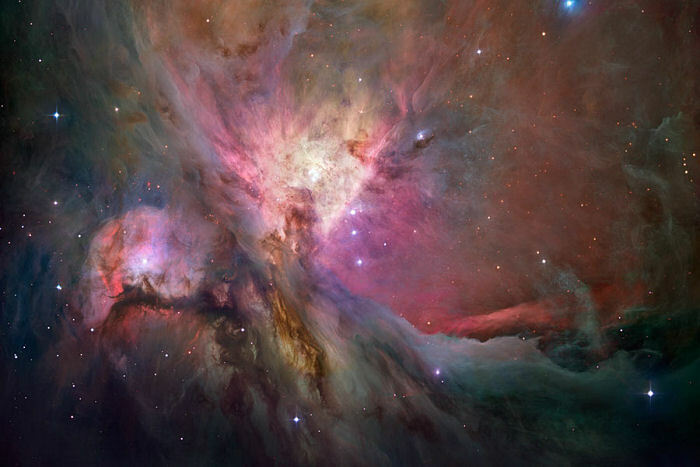 This detailed image of the Orion Nebula is the sharpest ever, constructed using data from the Hubble Space Telescope's Advanced Camera for Surveys and the European Southern Observatory's La Silla 2.2 meter telescope." Indded, the smaller image above hardly does it credit and it very worth the while to check this beautiful image out at its full resoultion. Image credit: NASA, ESA, M. Robberto (STScI/ESA) et al. February 02, 2009  Seen above is the beautiful galaxy Centaurus A, its dust ring encircles the giant galaxy, while fast-moving jets spew from the galaxy's centre. 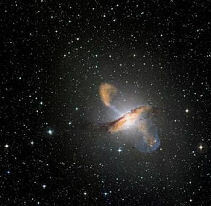 A preliminary report from the ESO (European Southern Observatory) stated that the dust and jets are definite indicators of a supermassive black hole at the center of Centaurus A. As noted in a later press release (March 3, 2009), "Centaurus A is our nearest giant galaxy, at a distance of about 13 million light-years in the southern constellation of Centaurus. It is an elliptical galaxy, currently merging with a companion spiral galaxy, resulting in areas of intense star formation and making it one of the most spectacular objects in the sky. Centaurus A hosts a very active and highly luminous central region, caused by the presence of a supermassive black hole (see ESO 04/01), and is the source of strong radio and X-ray emission." Image credit: ESO, NASA/CXC/CfA/R.Kraft et.al. February 09, 2009  For the first time, a spacecraft from Earth has captured hi-resolution images of a solar eclipse while orbiting another world. The diamond-ring eclipse was caught and filmed by Japan's Kaguya lunar orbiter on Feb. 9, 2009. Kaguya is the largest mission to the Moon since the Apollo program. 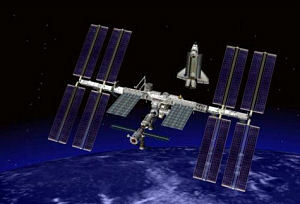 Launched in late 2007, the spacecraft consists of a mother ship plus two smaller orbiters that work together to relay data to Earth even from the Moon's farside. The event can be viewed in a movie produced by the (JAXA) mission home page here. Original article from NASA. February 15, 2009  Galileo Galilei was born in the city of Pisa, Italy on this date in 1564, the first child of Vincenzo Galilei and Guilia de' Ammannati. Both a scientist and self-promoter, he would secure for himself a future that would seem bright. However, with the invention of the telescope and his own recreation and use of the instrument, would come a dispute which would threaten to destroy its creator, creating a controversy that lasted well into the 20th century. 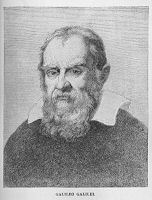 Seen above is an image of Galileo by Sarah K. Bolton from Galileo Galilei: Famous Men of Science, (New York, 1889) and is based on a portrait by Justus Sustermans that was painted in 1636. February 25-28, 2009  It was an event you could hardly miss; nor was it by many. Looking west after sunsetin fact, it was possible to see it during the daywe were given one of the most beautiful Venus and crescent moon conjunctions possible. It was quite special because Venus was at maximum brightness, magnitude -4.6 or twenty times brighter than Sirius, the brightest star in the sky and the reason it was possible to see during daylight. A video animation and narrative of that event can be viewed here, Astro-visualization: Venus / Moon Conjunction, courtesy the Space.com website. Support for the IYA grows as does the number of international nodes (or sites) that appear online, offering a diverse range of activities from around the world of astronomy. To coincide with International Year of Astronomy, the University of York is taking to the road to alert people across Yorkshire and the Humber to the fascination of the night sky. 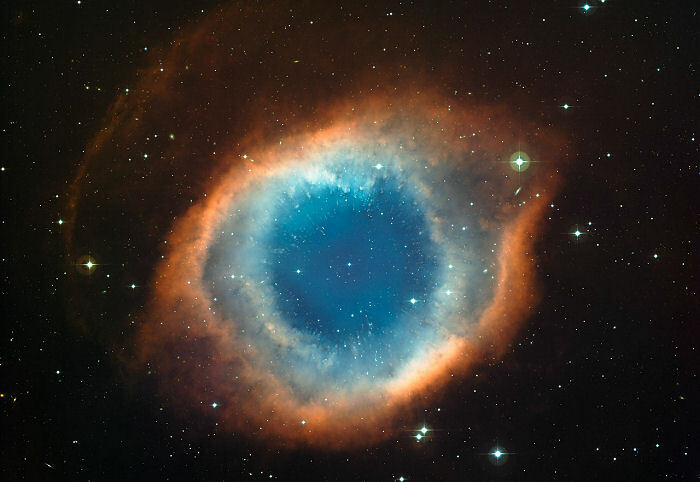 See the article entitled Roadshow to reveal the wonders of astronomy, from the University of York. The Irish Node for the International Year of Astronomy is announcing that this year St Patrick's Festival celebrations in all major cities in Ireland are endorsing an astronomy theme. In Dublin, this year's theme for the festival Parade is 'The Sky's the Limit!'. Over 700,000 people are expected to line the Dublin streets. March 02, 2009  Geriatric pulsar still kicking The oldest isolated pulsar ever detected in X-rays has been found with NASA's Chandra X-ray Observatory. This very old and exotic object turns out to be surprisingly active. At a distance of only 770 lightyears, "The pulsar, PSR J0108-1431 (J0108 for short) is about 200 million years old. Among isolated pulsars -- ones that have not been spun-up in a binary system -- it is over 10 times older than the previous record holder with an X-ray detection." 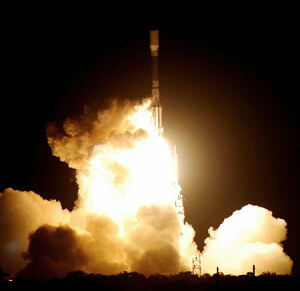 March 10, 2009  In another launch this month, the most sophisticated Earth observation satellite was sent into orbit in order "to map our planet's gravitational field with unprecedented resolution and accuracy." The satellite, named GOCE or Gravity field and steady-state Ocean Circulation Explorer, "...is the first of a series of Earth Explorer satellites to enable cutting edge research regarding the Earth's atmosphere, biosphere, hydrosphere, cryosphere and interior." See the article Mapping the Earth's gravity as never before. March 18, 2009  Today it was announced that evidence for liquid water on Mars may have been discovered in the form of droplets that had formed on a leg of the Mars Phoenix lander. 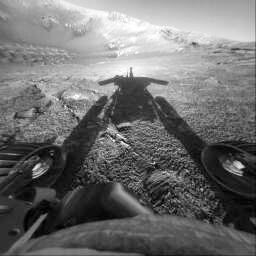 "The evidence comes from studying images of one of the lander's legs, which revealed droplets of the curious substance appearing to grow throughout the polar summer. Again, taking into account the local temperature conditions and the salty composition of the soil in Phoenix's workspace, scientists believe the droplets were most likely a mixture of salty liquid water and mud." The full article can be read at the UK's Astronomy Now Online website. March 28, 2009  In another record breaking distance measurement, "NASA's Swift satellite and an international team of astronomers have found a gamma-ray burst from a star that died when the universe was only 630 million years old--less than five percent of its present age." Noted lead scientist Neil Gehrels at NASA's Goddard Space Flight Center, "The incredible distance to this burst exceeded our greatest expectations -- it was a true blast from the past." For complete details see the Science@NASA article New Gamma-Ray Burst Smashes Cosmic Distance Record. March 30, 2009  As for accolades in the area of longevity and use, the top prize goes to one of the greatest of all surveying instruments to be constructed, the Hubble Space Telescope, and it needs no introduction in this respect; a quick scan of the images posted at the Astronomy Picture of the Day website is testament enough of this fact. Servicing and extending the capabilities of Hubble has often required a trip to the telescope via a shuttle launch; not this month. "A scientist at Rochester Institute of Technology has expanded the Hubble Space Telescope's capability without the need for new technology, by recalibrating existing instruments." The improvements made to Hubble entailed a simple re-calibration of its Near Infrared Camera and Multi Object Spectrometer, enabling a very high degree of precision in an observational technique known as polarimetry. The "technique enables scientists to investigate active galactic nuclei and for identifying proto-planets around very young stars, for example." 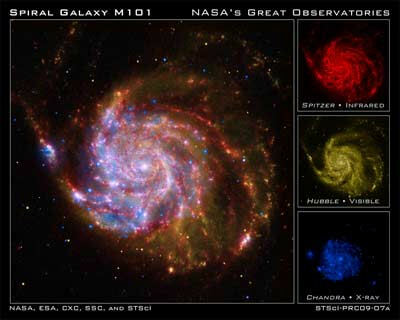 See the article by Dr. Emily Baldwin, Scientists fine-tune Hubble from the ground at the Astronomy Now Online website. 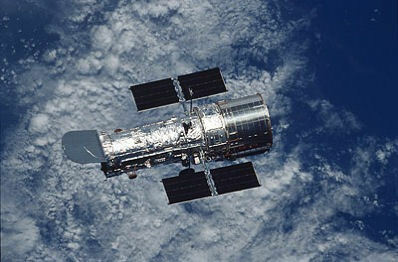 Above image of the Hubble Space Telescope courtesy NASA.